Creating B2G content that is compelling and effective is a challenge for government contractors of all sizes. Over the years, we have seen situations where enterprise-level, prime contractors with significant resources have produced content that has completely missed the mark. And not just website landing pages, but white papers, videos, Webinars, e-mails, event presentations and more. As we pointed out in our recent article, "Why It Is Time To Audit Your Website and Optimize For Search Engines," studies from companies like eMarketer have shown that while improved content lead to better results in search engines, and better lead generation, creating excellent content was the most difficult step to implement. Creating compelling content, regardless of whether it is an article, white paper, landing page on your website, video, or virtual reality experience, is a long process that requires planning, detailed research, and people who have the ability to weave together a story while navigating and blending together whatever technical elements are necessary to make it all work. It seems obvious to write that you need to know your audience. But there is a difference between thinking you know your audience, and actually knowing who they are, and what they are interested in. Many government contractors create a perception of what government decision-makers are thinking based on generalities and assumptions made from other industries. And while there may be some overlap from time to time, you cannot make assumptions about the challenges a government decision-maker has based on how people in business are responding. In short, you need to build accurate customer or buyer personas of your government audience that are based in real data. You can start with existing customers, and learn more about their behaviors, habits, motivations, and needs. Mission statements are some of the best ways to identify needs. The higher level the POC, agency or group, the broader and higher level the mission statement. So, if you are looking for more specific needs to fill, consider mission statements that reflect your specificity, eg: “A Combat aviation brigade (CAB) is a multi-functional brigade-sized unit in the United States Army that fields military helicopters, offering a combination of attack / reconnaissance helicopters (AH-64 Apache), medium-lift helicopters (UH-60 Black Hawk), heavy-lift helicopters (CH-47 Chinook), and MEDEVAC capability. If you have a list of sales targets (old and new), review that a compile a list of needs. What challenges are your prospects dealing with? You company may build stairways for airports, but there could be a wide range of issues relating to security that you can address. Examine keyword and phrase reports to understand long-tail and short-tail keywords, and how popular they are. 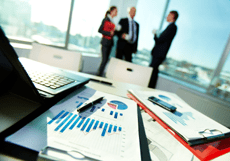 These reports should be combined with your capabilities, existing client sales data, and sales targets. We build these as part of our content marketing strategy. Asking your existing customers what they think of you is a critical first-step. It also is a ways to see what they know of your capabilities. In many cases, we have helped companies learn that their customers knew little about their total capabilities and how they could help them fulfill their mission. To the customer, the company did A, B and C. They had no idea the company could go D, E, F and G as well. Agencies often allow tours or have “industry days” and other events. Events allow you and your team to conduct field research. At these moments you have the opportunity to hear the “high level” mission statements, but then also speak to people who have more specific challenges. This kind of activity allows you to better segment your personas. How and Where Does Your Government Audience Buy? Depending on products and services, how and where people buy will be different. Is it off a schedule? Can they just purchase directly? What is the process of how and where your prospects buy? Highest-level thinkers. Often not interested in getting too technical, but it depends on the government executive. Procurers are the “gate-keepers” to the program managers and end users. Although program managers know what they want, contracting specialists help them get the needed materials/services and give advice on the best way to get those services. The contracting officers/specialists are key customers because of their influence over the project manager/end user and their responsibility for selecting the contracting method. Program managers and high level decision makers are individuals who generate the contracting requirement or are responsible for facilitating its execution. These individuals may exercise influence over an individual contracting or organization-wide contracting policy, but do not actually conduct the contracting process itself. Most end users are confused about the contracting process and turn to their contracting specialist for help. They do not care how they get the contractor; they want the quickest mechanism to get the contractor. End users often have input in selecting the contractor, and can be a key contact in the working relationship with the contractor. At Social Web Tactics, we use the above, and find that search tenancies really help to hone topics and content development. The simple reason is - when you know what people are looking for, and how they are looking for it, you can map your content creation process to meet their needs and behaviors. We also recommend that you ask a series of questions before you undertake any content creation for a prospective government customer. What is the purpose of…? What are the goals of…? What is your customer looking for? If you ask those questions and spend the time to understand the audience, you will create content for government buyers that helps them complete their mission. And that is the first step to successful B2G marketing. Once you have built out audience profiles, you need to look at how your audience searches for information. It is something we started to discuss above, but it has a much wider impact to your content creation process than you may realize. In doing this, we need to think first about how Google analyzes search queries, because that matters. RankBrain is Google’s way to process queries. It looks at words and phrasing to identify what content it is going to display. Common elements will generate more common results. The greater the variation, RankBrain assumes there is a different intent by the user, and therefore, produces different results. In many ways, Google is trying to aid people by interpreting based on the words being used what they are looking for. A high-level search for "Apache Attack Helicopter" will get a much broader array of content, than if someone is searching for something more specific, such as "Apache helicopter shield assembly" or the actual NSN for a particular part to that vehicle, eg, "NSN 2840-01-471-3295." How does this help you create successful B2G marketing content? If you understand the high-level searches that people are conducting, and the more specific searches, you can create different types of content sets for each search, and use that content to move people through a funnel. It may be a learning funnel, or a decision-making funnel. But at the end of the day, if you are a government contractor, we presume that you want to sell something or win a contract. Therefore, you need to always be thinking about how the content you create accomplishes that goal. Another area where search terms play an important role in content development is with your information architecture. Information architecture is how you organize information on your website. Successful B2G marketing content is only a success if you position the content you produce to be found. Given the popularity of search engines in B2B and B2G marketing, increasing your discoverability is a critical step to producing successful content. In the image above of Strayer University's website, you can see two versions of the website. In the version on the left, the menu item "Academic Programs" was changed to "Degrees" for the new website version. On the surface, that may seem like a small change. But not if you are Google, and not if you are a prospective student looking for courses. The truth is - people do not search in large numbers for "academic programs." People look for "degrees." In fact, people look for specific degrees, such as a "Masters Degree" or a "Business Degree." By changing the menu navigation, we were able to create a visual connection with the audience, but also we created an architectural one for Google's search algorithm. All content relating to the "academic programs" changed to relate to "degrees." So now, the website's URL structure was different. The way it organized information changed to match that different term. 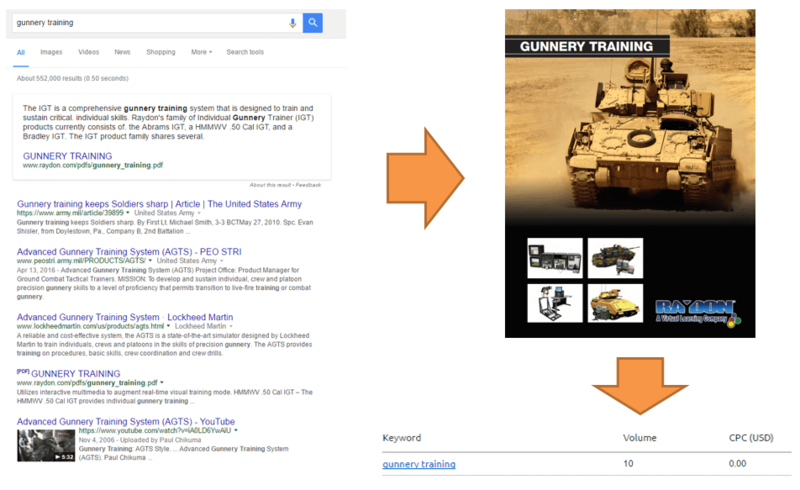 Once that was done, Google indexed the website differently. And when people searched for "criminal justice degree" - the website's architecture and content better matched that query. The ending result was a significant (near double) increase in organic (free) traffic to the website. Usability - Achieving high search engine rankings can drive voluminous amounts of targeted traffic to your website, but making the site user friendly is also important. You need to create a logical information architecture that will make sense to users. Rankings - In addition to users, it's also necessary to consider search engines in creating an intelligent content structure. You want to ensure you're giving the right pages the right amount of emphasis. Conversions - Web design for businesses should also feature a natural walk through the conversion process. IA in these instances should walk the user through the conversion process, offering informative pages which begin with broad, early-in-the-buying cycle content and consistently moves the user towards the next step in the purchasing process. Step 3: What Is Effective and Why? People will consume it. If it is an email, it will be opened. Article links will receive clicks. White papers will be downloaded. Webinars will receive registrations. Action will be taken. Getting people to the content is one step. The next is generating an action - a conscious decision to do something that you define as the next step. That could be downloading a document, registering for an event, or just sharing their information through a form or phone call. Whatever that action is - it is one of the most definitive ways we have as marketers to determine if something we have created is successful. When we look at content, and what is successful, we want to look at specific tactics and channels, but also consider where in the sales process / pipeline / funnel each is more optimal. Need Help With Your B2G Marketing Campaigns? Click here to learn about our B2G Marketing services. We also have our core marketing services. Click here for the services overview. Below is some current data on the effectiveness for B2B tactics and channels. Unfortunately, data on B2G marketing is dated. The best insight we have at the moment is to use B2B data. If you review and adopt the three steps listed above as part of your content creation process, you will increase the amount of compelling B2G marketing content that you produce. It is important to keep in mind that government decision-makers are looking for information to solve challenges and opportunities that are unique to them. They want answers that help them get through each step of their product or solution identification process. More often than not, content that fails to make an impression on a government audience fails to either address a topic that is a priority, or does not address the questions, concerns, and interests of that particular government agency. In order to be successful at B2G content marketing, you need to look away from what you think is of value, and focus on what the government needs.